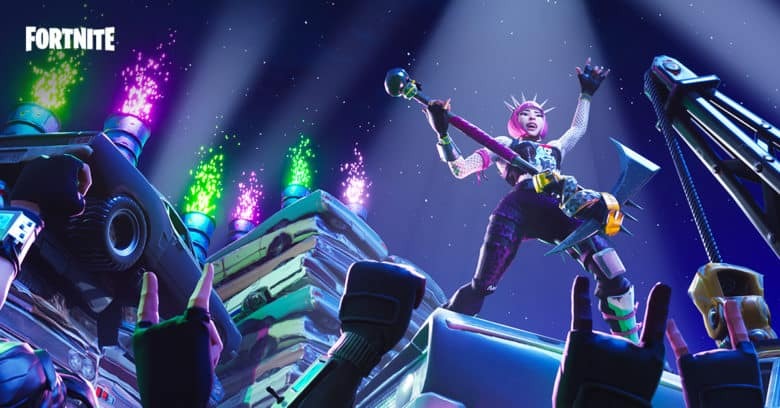 After a two-day delay, week five’s challenges are finally available inside Fortnite Battle Royale for buyers of the season four Battle Pass. There are seven altogether — four easy and three hard — which will earn you a total of 50 Battle Stars. And unlike last week’s challenges, this week’s are relatively straightforward, so more experienced players will have them completed in no time. To help you, here’s our complete challenge guide for season four, week five. 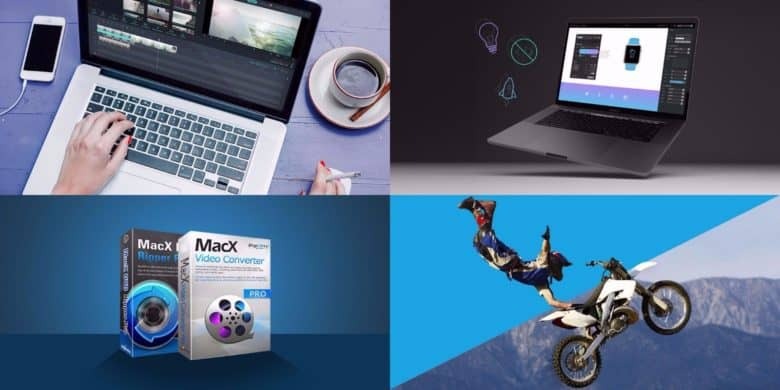 This week's best deals include powerful Mac maintenance tools, sleek drones, and more. With summer coming to a close, the Cult of Mac Store is still bringing in hot new deals. This week, we’ve got a discount on top-shelf Mac maintenance app CleanMyMac 3. 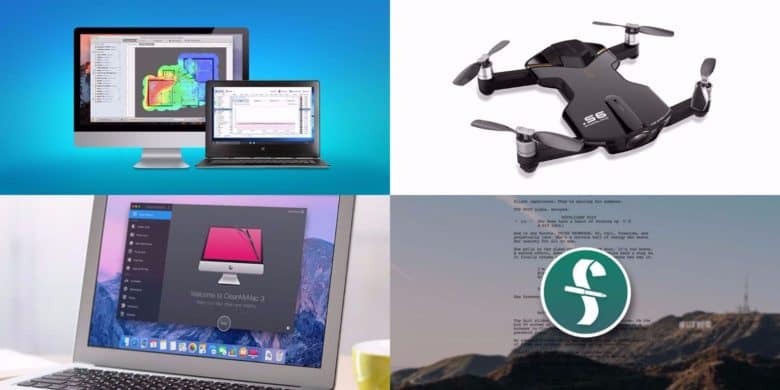 Plus, we’ve got half off or more on Final Draft 10, a sleek drone with 4K video, and an app for maximizing Wi-Fi connections. Additionally, for a limited time, you can get an additional 15 percent off each deal by using the coupon code “BYESUMMER” at checkout. 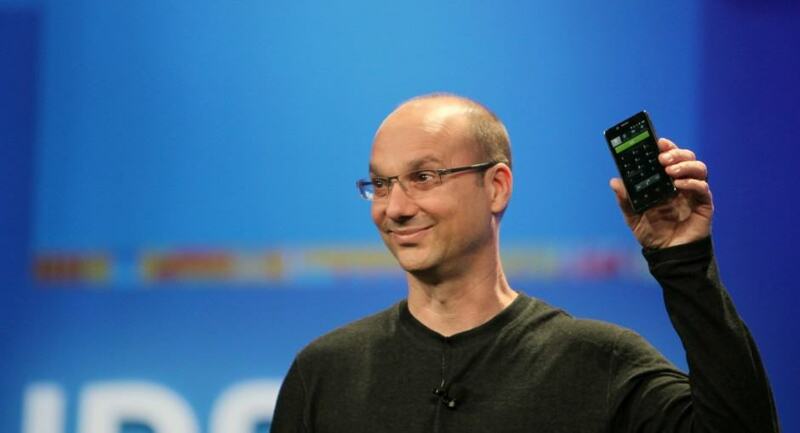 Andy Rubin allegedly dated a colleague at Google. Andy Rubin, who co-founded Android before leaving Google in 2014, is building dashboard cameras that he wants to give away for free. But in exchange for an extra eye on the road, Rubin wants you to give up all the data your dashcam collects. 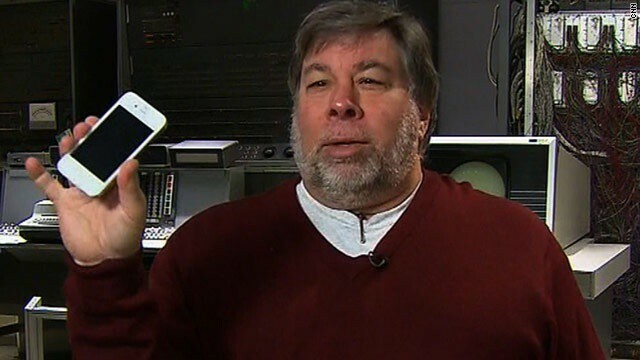 Woz keeps a bunch of third-party navigation apps on his iPhone as backup. Why would Apple's new Maps app include references to Intel based graphics chipsets in its code? Apple purchasing several mapping companies over the last fews years, Apple is finally replacing Google Maps with its own solution in iOS 6. But it seems the Cupertino company may be planning to expand it beyond iOS. 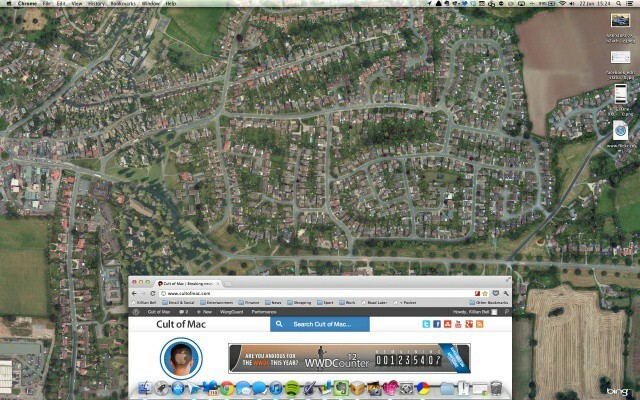 One developer has discovered some code within the iOS 6 beta that indicates Maps will also be coming to OS X later on. 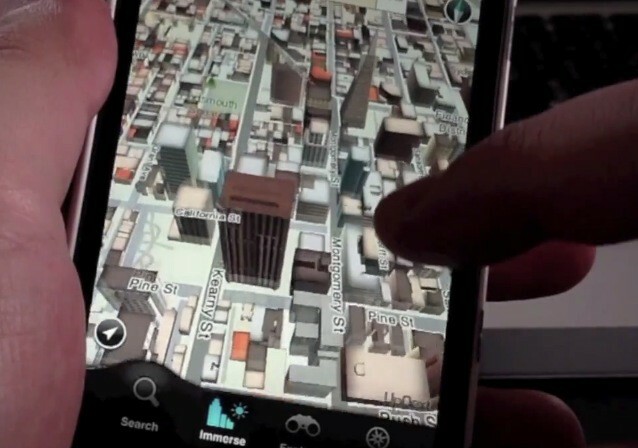 Amazon follows Apple and Google into 3D mapping. Following Apple’s Google’s leap into 3D mapping technologies, Amazon has acquired a 3D mapping startup of its own. The online retail giant today sealed a deal to purchase UpNext in a move that could signal the company’s intentions to bring 3D maps to its Kindle Fire slate without any assistance from Google. Much better than a picture of your motorbike, right? Fed up of trying to find the perfect wallpaper for your Mac? There are plenty out there that feature supercars you’ll never be able to afford, models you’ll never meet, and sandy beaches you’ll never visit. But for something a little more interesting, check out Satellite Eyes, a wonderful little app that displays a satellite view of your current location as your desktop background. If your area has HSPA+, but not the backhaul upgrade then you will not be able to experience the new 4G network speeds. However, AT&T’s network completely supports HSPA+ and they will eventually have the backhaul upgraded everywhere else. 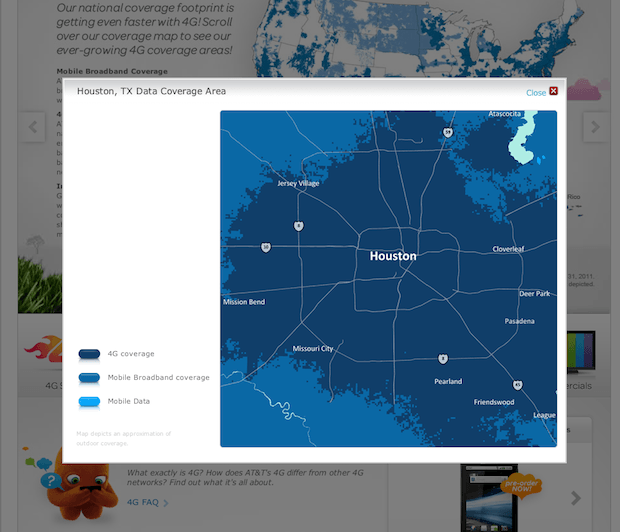 You can check out AT&T’s coverage map that includes 4G coverage by visiting www.att.com/network and clicking on the coverage tab. Hovering your mouse over the map will reveal the 4G HSPA+ cities and locations listed above. Have you noticed the difference? Tell us about it by leaving a comment. Well we finally got to see the Verizon version of the iPhone 4 (big yawn) and I know many iPhone 4 users on AT&T are excited about a chance to own an iPhone that won’t drop calls (Note my iPhone 4 rarely drops calls and I really mean rarely). Although the iPhone 4 on Verizon isn’t actually here just yet it won’t hurt to get prepared for when it finally gets here. So considering all the above — what’s the most important thing to know about a cellular carrier? Coverage and now there’s an app for that, but unfortunately you might have better luck checking a carriers site for coverage versus using this app.